Patrick Bamford - Another player with massive potential being sold without ever playing for Chelsea. Patrick Bamford is expected to sign for Middlesborough for a fee of around £6m rising to £10m having not played a single game for Chelsea since he joined in 2012. There is always arguments for and against Chelsea's loan policy over the years and with Bamford in particular, it will cause debate amongst the Chelsea faithful. Having signed for Chelsea four years ago from Nottingham Forest for a fee of £1.5m, the player leaves four years on after being farmed off out on loan a massive SIX times during that period. Milton Keynes Dons, Derby County, Middlesborough, Crystal Palace, Norwich and Burnley are the clubs that Bamford has been loaned out to and he finally gets a chance to become settled for life in the Premier League where he made the biggest impact - Middlesborough having won the Championship Player of the Year under Aitor Karanka a couple of seasons ago. From a business point of view as far as Chelsea Football Club is concerned, Bamford would be considered a success having made a profit of £3.5m to begin with, possibly increasing to £10m with the various add-ons the club would insist upon with any deal being finalised. However, there are those amongst us that will bemoan the situation and become frustrated that yet another natural talent has come and gone at Stamford Bridge without being given a chance. I understand that Bamford has made little or virtually no impact in the Premier League in his time at various clubs on loan and that is for a number of reasons. People will immediately look at his stats, his lack of playing time and subsequent goals and come to the opinion that he is not of Premier League standard. I ask the question "How on earth are you supposed to know unless they are given a real chance?" Look at Harry Kane at Tottenham for example, another natural goalscorer. His potential was there for all to see and Tottenham had no problems with putting him into the team and look at what has happened. All it takes is a chance and playing time. People like Bamford will never lose the goalscorers instinct that players like him are born with, it's just being given the time to adjust to the pace and power of our game, to play on regular basis and to be given the chances to make a name for himself. 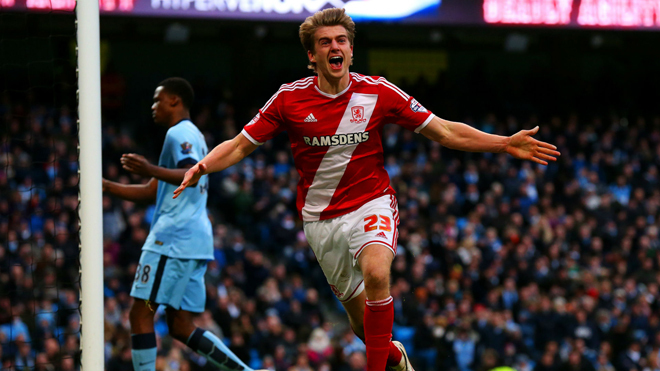 I have little doubt that Bamford will become a success story at Middlesborough in the Premier League. It's just a shame that once again, it couldn't be here!